Using safety signs in a facility is a great way to help quickly inform people of potential dangers is a specific area. There are many different types of safety signs that can be used, which can actually make it somewhat confusing when trying to plan out what will go where in your facility. The following are some of the most common questions related to safety signs, and easy to understand answers. Read through them to see how your facility can make the best use of these important safety items today, and in the future. What are the Main Safety Sign Regulatory Agencies? In many facilities it will be legally required to have certain types of signs in place, and the signs must meet certain regulatory requirements. While it is often a good idea to go beyond what is strictly required, it is still smart to know which regulatory agencies will be the most likely to have requirements that you need to follow. 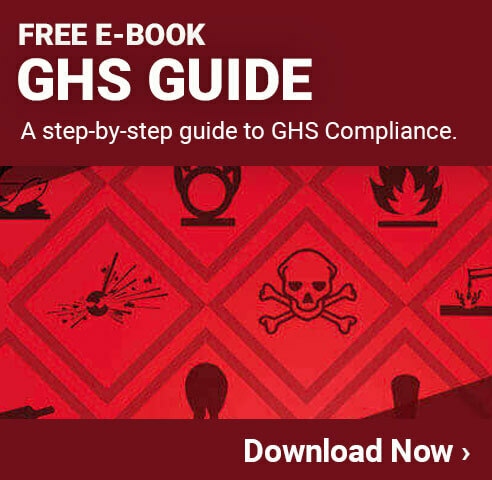 GHS – Globally Harmonized System (not technically an agency, but a system used by agencies). Knowing the regulatory requirements for each of these things will help you to ensure you are at least meeting the minimum requirements in order to avoid fines or other problems. From there, you can begin to look into how you can go above and beyond when it comes to safety signs. How often should Safety Signs be replaced? There is no official requirement regarding how often a safety sign within a facility needs to be replaced. The general rule of thumb is that you need to make sure it is always visible and easy to read. Over time, these signs can begin to fade, get damaged or otherwise become more difficult to see. As soon as this begins to happen, it is important to have them replaced. Using higher quality signs will help ensure they last much longer. In addition, taking proper care of your signs by keeping them clean and placing them in places where they won’t get damaged will help prevent any type of problems. One last thing to consider regarding how frequently a safety sign should be replaced is how accurate the information is. In some cases, the safety sign will need to be in that spot permanently. In others, however, it is just a temporary hazard that you need to warn about. Taking signs down when the risk is removed is also very important. Does the Line in a “NO” Sign go in front or behind the Pictogram? One of the most common types of safety signs is the common “NO” sign that has a pictogram of something with a red circle around it and a line through it. These were made very famous for no-smoking symbols that are found in planes, offices and just about anywhere else you go. The question is whether the line should go in front of the pictogram or behind it. The fact is that there is no set standard in this area. You should always do whichever one conveys the message the best. For example, for no-smoking signs the picture of the cigarette can go behind the line because the line won’t make it confusing as to what the pictogram is. For more complex pictograms, however, the line can get in the way. In these cases, having it go behind the pictogram is actually the better choice. How do you Fasten Safety Signs to a Fence? Many facilities have fencing around them to help keep people out for their own safety. Placing a sign on the fence to let people know of specific risks, and asking them to stay away is a great idea (and may even be required). Making sure the signs are attached properly will help ensure everyone can see them, and that they last a long time. Outside of the Fence – The first thing you need to do is make sure the sign is placed on the side of the fence where people will be reading it from. Even with chain link fences, it is much easier to read when it is on the right side. Fasteners – You need to pick the right type of fastener for the right type of sign. In many cases, using a zip tie on each corner will allow for a long lasting and secure safety sign to be held in place. Cleaning – Depending on the location of the sign, you may not have to do much cleaning. If the sign doesn’t get too dirty, natural rain will be enough to keep it visible. If that is not the case, having the cleaning crew spray it down with water on a regular basis is sufficient. How do you Create Temporary Signs? There are many cases when you need to put up a temporary sign for your facility. Whether it is because there is a machine that is having trouble, or you have a chemical in an area where it normally wouldn’t be, it is important to be able to create safety signs as quickly as possible. One of the easiest options is to simply use your industrial label maker to create a large label, which can be placed on a piece of metal or other object to form a sign. In most situations this will allow you to have the sign you need in just minutes. These signs are also quite easy to read and can last as long as you need them to. What Safety Signs need to be Photo luminescent? Photo luminescent signs, or signs that ‘glow in the dark,’ are a great option for any area where there is not much light, or where it is important to be able to see them in the event of a power outage. The fact is, however, that there is no set regulation as to when you must use photo luminescent safety signs in most cases. One exception to this is for emergency exits, which must light up even in a power outage. As long as you take steps to ensure the signs are as visible as possible, you will be meeting regulations. For some critical signs, like fire extinguisher signs, it is a good idea to have them light up, glow in the dark, or at least be reflective when the lights go out. What Materials can Safety Signs be made out of? One last thing that many people are concerned about is the material that should be used to make safety signs. The answer to this is that you need to consider where the sign will be used, and what will allow you to have the most effective sign placement possible. A metal sign, for example, will last a long time but may get rusted if it is outside in the elements. Paper signs are fine for temporary hazards, but should never be used for something that needs to be in place for a long period of time. You can also use vinyl safety signs that you can print off right in your own facility. These can stand up to the elements well, and also last a long time. While safety signs can be a confusing topic for many people, it is important to do all you can to make sure you are using them properly. With a little care and attention to detail, you can help improve the overall safety of your facility quickly and easily.